In September, the American Society for Clinical Pathology (ASCP) released its fifth list of Choosing Wisely recommendations, identifying additional laboratory tests that are commonly ordered but not always appropriate. The new list brings to 25 its number of recommendations, making ASCP one of only two specialty societies, out of more than 80, that have reached that milestone. When Choosing Wisely launched in 2012, the expectation was that specialty societies would identify “five things” or practices that were overused and not evidence based as part of the campaign. 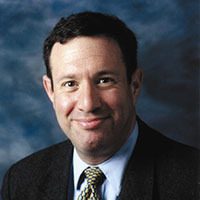 Why has ASCP continued to expand its recommendations? Our lists serve as a basis for discussions between pathologists, clinicians and patients about the right tests to receive and when. They lists have been recognized as contributing to more appropriate test utilization by other professional societies, payers, and other healthcare leaders. We strongly believe that it is important for pathologists and laboratory professionals to “be at the table” as laboratory medicine decisions are being made – and our ongoing participation helps achieve that goal. How have ASCP’s recommendations been received by its membership? Other physicians? 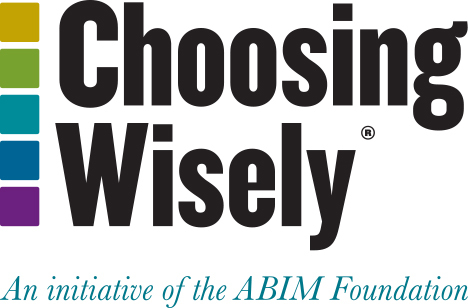 Our participation in Choosing Wisely has been extremely well received by our membership. We feature a group of champions at our annual meeting and have had growing interest in participation in our process. To that end, we have formed an advisory board for effective test utilization and invited member participation. We have had about 800 pathologists and laboratory professionals signed up to provide input to our selection of Choosing Wisely recommendations. The latest set of five recommendations deal with diabetes, plasma transfusions, acute infection, and blood disorders. How have ASCP’s recommendations contributed to the effort to reduce unnecessary care? The recommendations include management of common medical conditions and some that are less common but are important to the practice of medicine. ASCP is also leading the way to develop the National Pathology Quality Registry (NPQR), a Qualified Clinical Data Registry (QCDR) under Medicare, for laboratories and their physicians to benchmark and drive clinical improvements in care processes. Our subject matter experts will be including these new measures into the NPQR. What measures do you have of implementation? What are the challenges, if any, to implementation of the ASCP recommendations? At this point our findings related to implementation have been mostly anecdotal. Some of our champions have codified the measures into their EHRs and others have talked about how their medical staffs and hospital staffs have reviewed the measures and implemented performance improvement teams to encourage measure adoption. With the NPQR registry above, we anticipate we will have more objective data available in the near future. What do you foresee for the future of ASCP’s participation in the Choosing Wisely campaign? I think it’s safe to say that ASCP is in it for the long haul. We believe this effort is good for patients, clinicians, and pathologists and laboratory professionals alike. As we move forward, we expect that the ASCP data registry along with those from other organizations will continue to advance the quality and safety of healthcare in the United States and beyond.